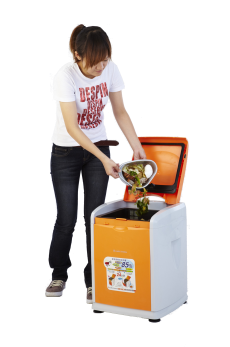 This fully automatic eco-friendly food waste Composter can quickly and efficiently solve the problem of food waste by decomposing it into organic soil, reducing waste by up to 85%. It can help compost up to about five pounds (2kg) of food waste per day. It provides a sealed temperature control and odor reducing design, so no need to worry about unpleasant smell. It’s easy, simple, convenient, and won’t cause secondary pollution and a new era eco-friendly household appliance that truly implements resource reuse. In the future, it’s bound to be an indispensable appliance in a green home. All given materials from our Earth are precious, even the used ones. EarthSystem believes that used materials still have value. EarthSystem provides the best solution to help everyone recover renewable resources and to help protect our environment. 1.Quickly and efficiently decompose food waste into organic soil in just 24 hours, reducing food waste by 85%. Handle up to 5 pounds(2kg) of food waste per day. 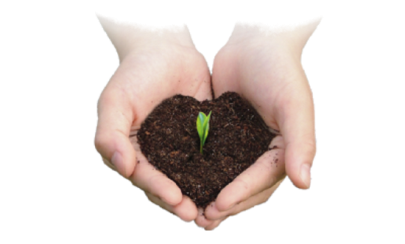 2.Just a few simple steps and you can have homemade organic fertilizer. 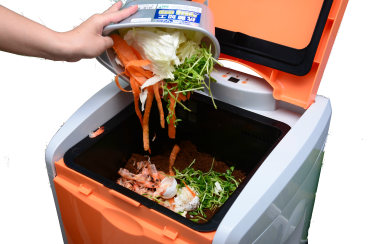 It has a constant temperature control to speed up the decomposition of food waste. 3. 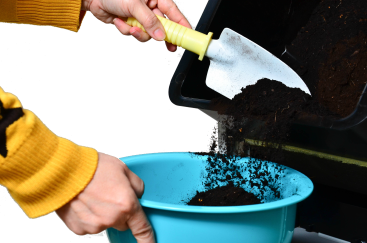 Make organic soil for planting fruits, vegetables and flowers. 4. Researched and developed in Taiwan. It has automatic stirring action, as well as ventilation and temperature controls and low electric power consumption. 1.Place the unit in a ventilated area indoors or a sheltered area outdoors. 2.DO NOT wash and clean the tank with a slightly damp cloth. Clean the inside of the unit regularly to ensure proper functioning. 3.Keep the unit plugged in at all times. This machine comes with an automatic power saving mode. 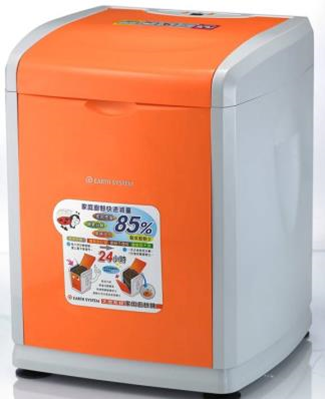 If the top cover is not opened for 48 hours, the machine will go into power saving mode. 4.Drain water before adding food waste into the tank. This will save energy and give you the best results. 5.Please review our operation guide for full details.